Lois G. Springan, age 89 of Hoople, ND, passed away on Sunday, April 21, 2019 at the Park River Good Samaritan Center of Park River. Funeral services will be Friday, April 26, 2019 at 11:00 A.M. at the Trinity Lutheran Church of Edinburg. Visitation will be for one hour prior to the service at the church. Interment will be at the Park Center Lutheran Cemetery of rural Hoople. 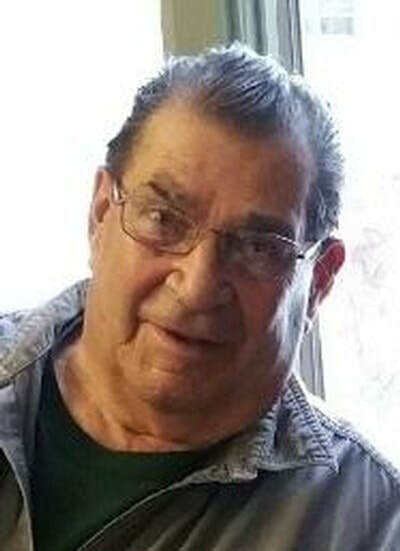 Wrany Lindenberg, age 78 of Grafton, ND passed away Sunday, February 3, 2019 at his home in Grafton, ND. Wrany Lindenberg was born May 3, 1940 in Devils Lake, North Dakota, the son of the late Edward and Annabelle (Perrin) Lindenberg. He attended Hoople High School and began working construction. Wrany was united in marriage to Patricia Boettger on October 17, 1959. The couple made their home in Grafton. Wrany and his two partners began CB&L Construction. He continued working construction until his retirement. He loved to work on Ford’s, enjoyed working in his yard, gardening and loved tinkering on anything that needed to be fixed. Wrany is survived by his wife, Patricia Lindenberg, Grafton, ND; daughter, Tammy (Paul) Poole, Chester, VA; granddaughter, Becky Slominski and his great grandchildren; siblings: Leah (Dean) Skjerven, Park River, ND; Keith (Mae) Lindenberg, Salt Lake City, UT; Dennis (Patti) Lindenberg. Several nieces and nephews also survive. He was preceded in death by his son, Randy Lindenberg, parents, brothers: Howard, James, Lloyd and Robert and sister, Sharon Lien. Memorial Services will be Friday, April 26, 2019 at 2:00 P.M. at the Lutheran Sunset Home Chapel, Grafton, ND. Visitation will be for one hour prior to the service. 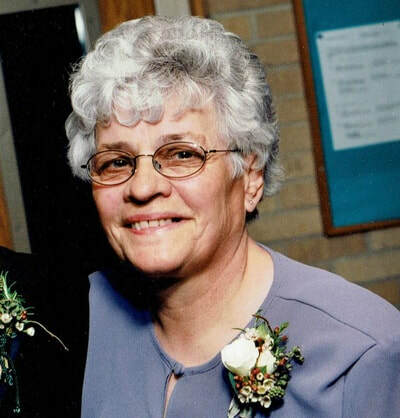 Colleen Henrietta LaBerge of Shoreview, MN passed away on April 15, 2019 in Saint Paul, MN. Colleen was raised in Adams, ND and graduated from Adams High School in 1953. After high school she spent two years working in Minneapolis, MN at Lutheran Brotherhood Insurance. Colleen then moved back to Grafton ND where she worked at the Grafton National Bank. Shortly thereafter, she met Donald LaBerge and they were married at St. John’s Catholic Church in Grafton, ND on April 22nd, 1961. Colleen and Donald were married for fifty seven years and raised their family together in Grafton. Colleen was also a longtime employee of the Grafton light department as a book keeper until retiring in 1995. Colleen and Don had recently moved to Shoreview to be closer to their children and grandchildren. She is remembered by her family as a fun, loving and caring mother/grandmother/great-grandmother. She had a strong Christian faith, enjoyed spending time with friends and family, playing cards, garage sales and casinos. She was preceded in death by her parents Elmer and Esther Johnson of Devils Lake, ND, her sisters Dolores and Marilynn, her brother Allen, and her infant daughter Ann Marie. She is survived by her loving husband Donald, sons Tim (Victoria), Paul (Kristen), and Tom (Jennifer), grandchildren Alysha, Michelle, Elizabeth, Caleb, Wallace, Charles, Vanessa, and Victoria, and great-grandchildren August, Everly, and Harper. Visitation will be from 5 to 7PM Friday, April 26th at Tollefson Funeral Home in Grafton, ND. Services on Saturday, April 27th at 10:30 AM at Saint John the Evangelist Church in Grafton. Luncheon following the service at the adjoining parish center. 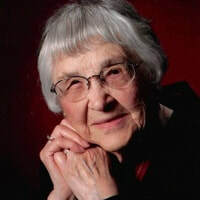 Ethel Spies, aged 99, passed away peacefully at her home on April 12, 2019. Ethel Schuster Spies was born on November 12, 1919 on the family farm near Warsaw, ND to Max and Laura (Misialek) Schuster. She went to a one room school through 7th grade, Warsaw convent for 8th and 9th in Grafton. She loved learning and reading was an important part of her life. She met Cyril H. Spies, an employee of Grafton Gamble’s while she worked at the local dime store. They were married in St. Stanislaus Catholic Church, Warsaw, on October 27, 1938. They lived in Grafton, Sauk Center, MN, and Devil’s Lake before settling in Grand Forks in 1955. Ethel worked in piece goods at the downtown JC Penny’s and as an office worker at the Columbia Mall location—1962-1985. Cyril passed in 1975. Ethel was an active member of Holy Family Parish, a member of Catholic Daughters and an avid bridge player. She was a wonderful, loving mother, grandmother, friend and a faith filled woman. Ethel had a wonderful smile and laugh that will be forever missed by those who love her. She is survived by 3 sons: Tyrone (Pat), Randy (Kris) and Craig—2 daughters: Yvonne Hanley and Margot (Frank) Kohl—daughter-in-law: Debra Spies—14 grandchildren, 21 great-grandchildren, and 2 great-great-grandchildren. She is preceded in death by her husband, Cyril; her son, Rod; her son-in-law, Jim Hanley; her granddaughter, Pam Solseng; her brothers, Richard; Raphael; Leonard, and a sister, Amelia French. In lieu of flowers, memorials may be made to Hospice. 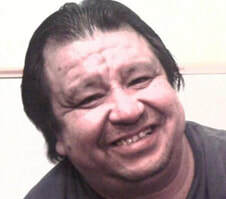 Steven J. Summers, age 55 of Grafton, ND passed away Monday, April 8, 2019 at Altru Hosptial of Grand Forks. Mass of Christian Burial will be on April 12, 2019 at 10:30 A.M. at St. John the Evangelist Catholic Church of Grafton. Visitation will be one hour prior to the service at the church. Interment will be at St. John's the Evangelist Catholic Cemetery in the spring. Peter Roy Lunde, Jr was born September 8, 1950 in Crosby, ND. He was then adopted into the loving family of Mildred and Peter Lunde, Sr. The family made their home on the Lunde farm in St. Thomas, ND. 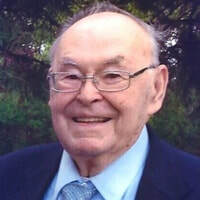 Peter attended St. Thomas Public School and graduated in 1968. He attended Mayville State University and made a career farming on the homestead. Peter was united in marriage to Katherine Eulert on January 15, 1982 and the couple made their home on the family farm. Their union was blessed with one daughter, Sarah. Farming was Peter’s passion, specifically combining (Gleaners only! ), and spending time with his family. After retiring from farming, he worked in transportation as a long-haul truck driver. Peter was always a fan of traveling and was looking forward to taking family trips after his retirement. Peter was an animal lover and loved to spend time with his feline companions, Fred and George, on the farm. Listening to Sarah play piano was one of Peter’s favorite pastimes. In his later years, Peter connected with his half-brother, Vern Miller, on his biological mother’s side. Peter passed away peacefully at Altru Hospital in Grand Forks, ND on April 8, 2019 with Katherine and Sarah at his side after courageously battling Stage 4 Metastatic Melanoma. Peter is survived by his wife, Katherine, St. Thomas, ND; daughter, Sarah Lunde, Fargo, ND; sister, Jeannine (Russ) Van Loon, Winnipeg, MB; nephews Jared (Danielle) Jenner and Travis Jenner, Winnipeg, MB, David McGinnis; niece Camille Lambert; great nieces Peyton, Jayden, Taylor, and Ella Jenner, Winnipeg, MB, and many cousins. Peter was preceded in death by his parents, Peter Sr. and Mildred Lunde, and his sister, Judy McGinnis.